KCLU's John Palminteri reports on a new permitting fee system for scooter sharing companies that are trying to gain a foothold in Santa Barbara. Plans by at least one company to provide pay-as-you-go scooters could come with an expensive price tag to get the wheels in motion. Recently the Lime company placed scooters in key areas of Santa Barbara for people to use with the swipe of a credit card at the rate of 15 cents a minute. The city, however, had not given the company approval, and subsequently impounded 140 scooters with an additional fine of $100 each. The city was concerned about blocked sidewalks and misuse of the scooters by riders without helmets. A special hearing Tuesday afternoon at city hall will lay out the newly crafted permit fees of $10,000. Eventually, two companies could be allowed to operate in the city, with a total of 300 scooters available. 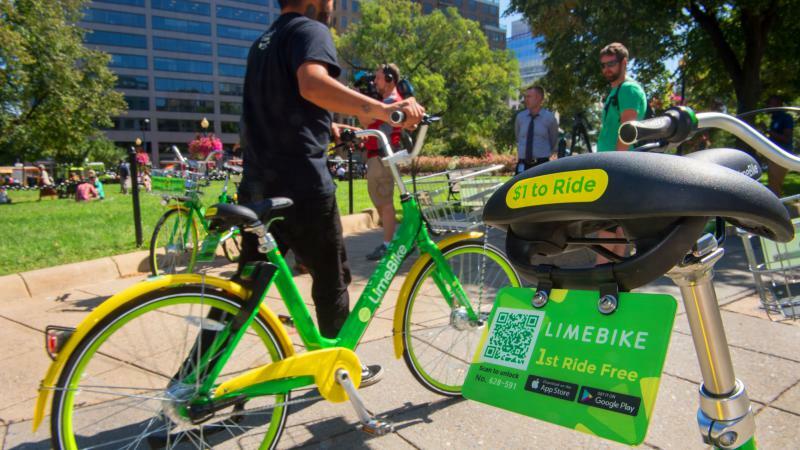 It's unclear if the Lime company will continue with the arrangement, and if they'll pay the fine to get their scooters out of impound. KCLU's John Palminteri reports on the arrival and confiscation of rideshare scooters in the city of Santa Barbara. A new electric scooter sharing service in Santa Barbara has had a bumpy start. 100 scooters have been impounded. The company, Lime, placed about 100 electric scooters in the downtown and waterfront areas. KCLU's John Palminteri on a suspect who eluded police after escaping arrest on the South Coast. While investigating a stolen vehicle call in the Santa Barbara foothills Tuesday night, police came upon a suspect trying to hotwire a scooter near Parma Park. During the arrest, though, the suspect got away. The escape took place while the suspect reportedly had handcuffs on either one or both wrists.